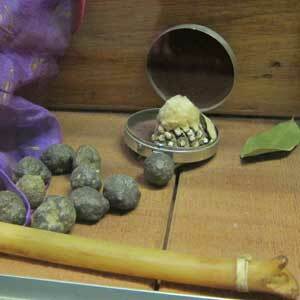 There are a variety of methods for consuming peyote. Once the dried tops (often referred to as the buttons) have been harvested from the roots of the cactus, users can eat them, brew them in tea or create a powder that is stored in drug capsules. The powder, also known as mescaline sulfate, remains the purest known form of mescaline, and as such, the strongest and most addictive. In addition to being consumed in capsule form, mescaline sulfate powder may also be rolled into a tobacco or marijuana leaf and smoked. While the predominant use of peyote is in Native American ceremonies, it was at the forefront of popular culture during the 1960s. This was in part thanks to the publication of The Teachings of Don Juan: A Yaqui Way of Knowledge, a book by anthropologist Carlos Castaneda that focused on peyotism. The authenticity of the book is now under serious suspicion by most researchers. Still, the book managed to bring thousands of people into the realm of peyotism. The inspiration for Ken Kesey's bestselling book “One Flew Over the Cuckoo's Nest” arrived in the form of a peyote hallucination. In 1954, poet Allen Ginsberg experienced a peyote hallucination involving Sir Francis Drake. The vision inspired Ginsberg to write “Howl,” a poem that received great praise in later years. Not surprisingly, Michael McClure's famous “Peyote Poem,” was a result of a particularly memorable drug trip. Peyote use is referenced in the lyrics of “Bitter Creek,” by the Eagles. In the 1995 movie “Dead Man,” the character played by Johnny Depp experiences a peyote vision. During a memorable scene in the movie “Fanboys,” several characters consume guacamole that contains peyote. The peyote causes them to have hallucinations about Star Wars. Band members in the game “Grand Theft Auto:San Andreas” are taken on a “peyote safari” and given spiked tea. For centuries, if not millenia, peyote has played an important part in the cultural heritage of dozens of Native American tribes. In these tribes, peyote is primarily consumed during special prayer ceremonies. During the cermonies, tribe members congregate in a circle inside a teepee or other shelter. The medicine man leads the other participants in songs and chants. During Hagerty's peyote ceremony, the drug is passed around once every two hours. The drumming and chanting continues until after midnight, at which point the participant holding the place of honor thanks the others for joining her in prayer. Many peyote ceremonies closely resemble the one described in Hagerty's book, but no two ceremonies are exactly alike. The main differences from one ceremony to the next are in the songs and chants. Each tribe has different songs it uses in prayer and thanksgiving. Other differences between peyote ceremonies including the venue in which it is held, the number of people that attend and the amount of time they spend in a peyote-induced state. Any use of peyote outside of religious ceremonies is prohibited by federal law, but that does not prevent thousands of Americans from using peyote for personal recreation. Some recreational users enjoy consuming peyote at parties, while others prefer using it in the privacy of their own homes. The Native American Church believes that the proper context of peyote use is essential for obtaining spiritual guidance. 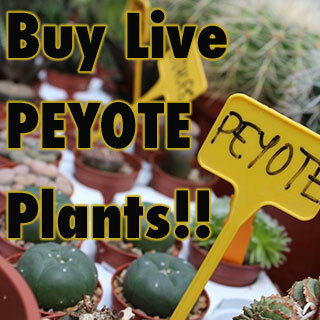 This means that peyote cannot be beneficial unless it is used in the appropriate environment. The Native American Church places additional restrictions on the use of peyote, such as not allowing minors to take part in the cermonies until they are personally approved by a healer. Hagerty, Barbara Bradley. Fingerprints of God: the Search for the Science of Spirituality. New York: Riverhead, 2009. McCaddley, Bill. "Arizona's Peyote Foundation Raided | Cannabis Culture Magazine. "Cannabis Culture Magazine | Marijuana Magazine.